I’ve been a bad, bad blogger lately. As I impatiently count down to my landmark birthday and the corresponding arrival of my Canon Rebel (!!!) 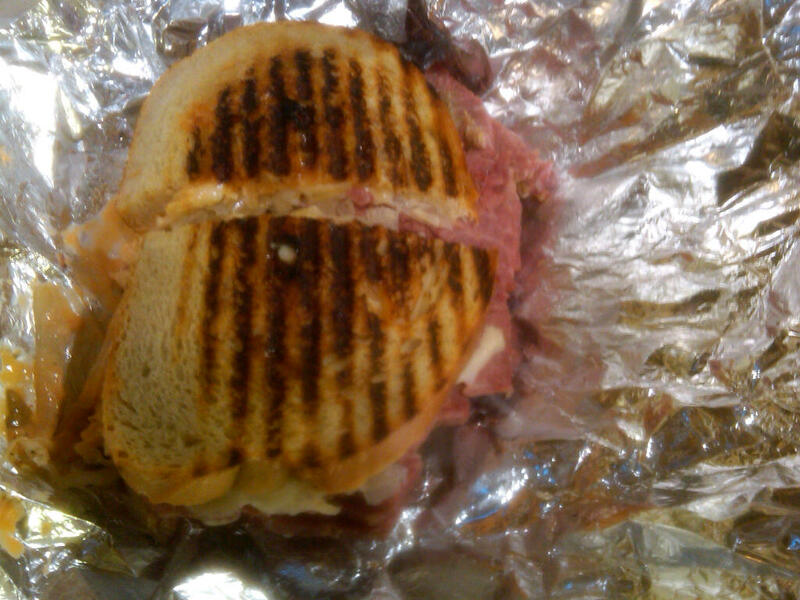 I’ll share some recent eats as captured by my Blackberry. 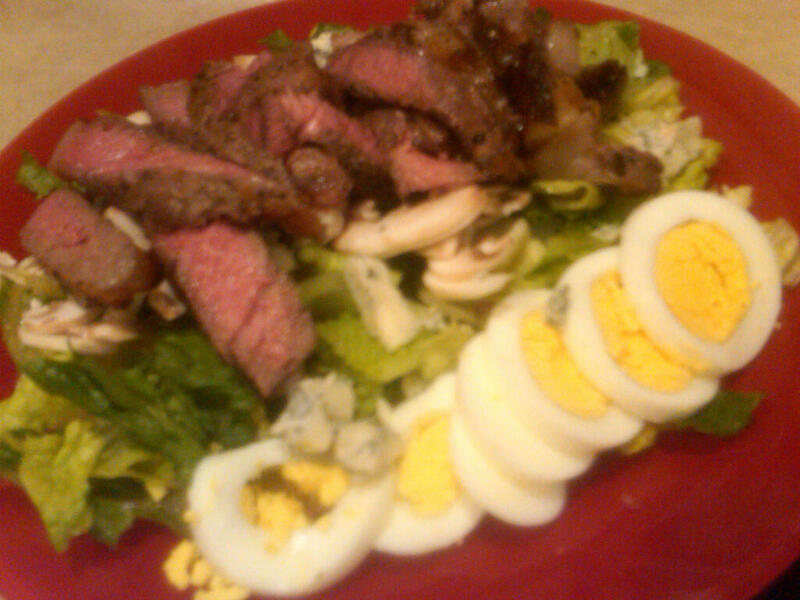 Chef’s salad with ribeye, blue cheese, hard boiled egg and mushroom makes for a tasty dinner. 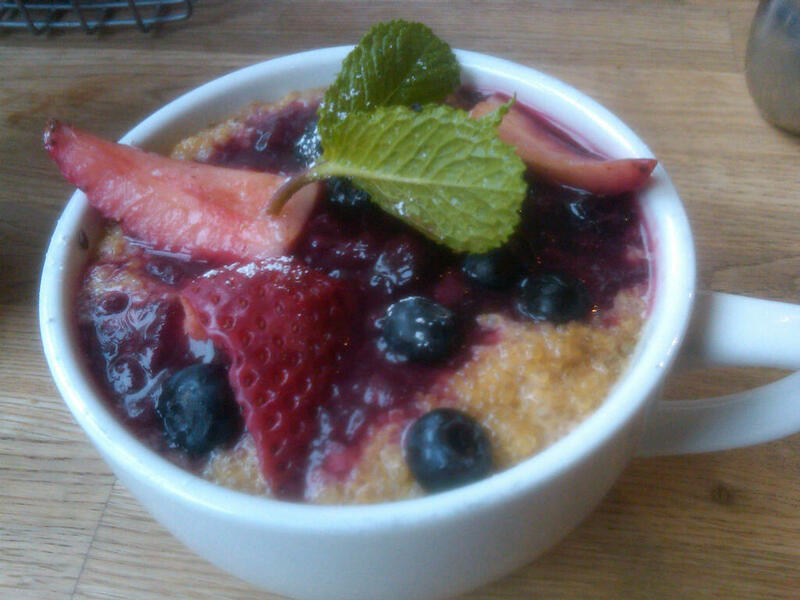 Quinoa porridge (hold the raisins, please)from Green Eggs Cafe makes for a healthy, yet filling, brunch. Still not sure that I like quinoa, but it works incredibly well in this dish. I love poached eggs (and my dad makes the best poached eggs in the whole wide world) and I want to get into the practice of eating them outside of the traditional breakfast. 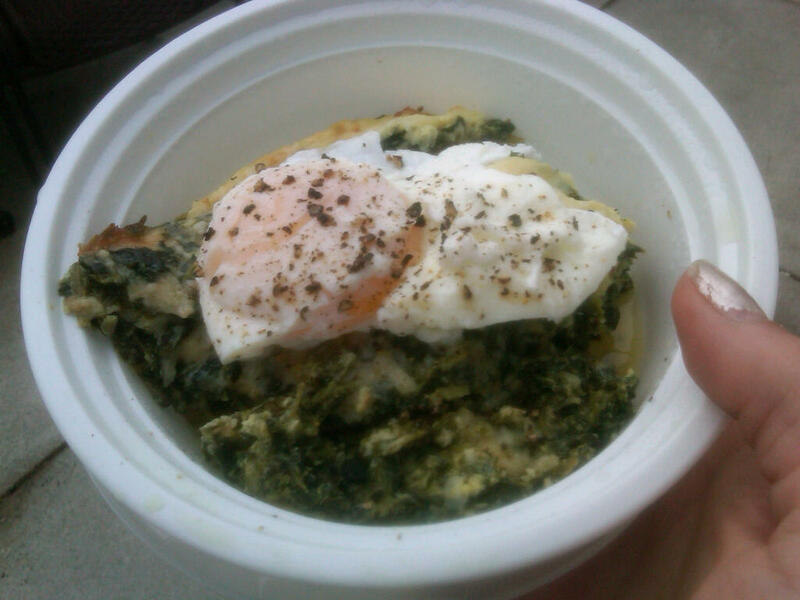 It worked beautifully atop leftover Syrian spinach casserole. And then there’s always lunch at the Reading Terminal. 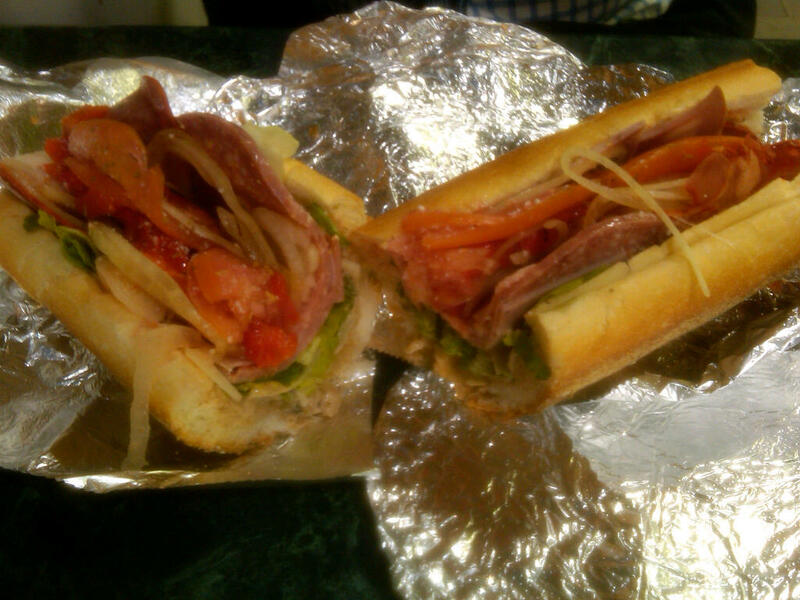 We switched it up a bit this time and I went with the a classic reuben from Hershels while the husband got his Italian hoagie from Salumeria–with the works, of course. My sandwich had enough meat for a second sandwich on Saturday afternoon.